Motawi Nutcracker is an adaptation, with permission, from a pair of tiles created by Motawi Tileworks in Ann Arbor, M from the historical work of David Bard. 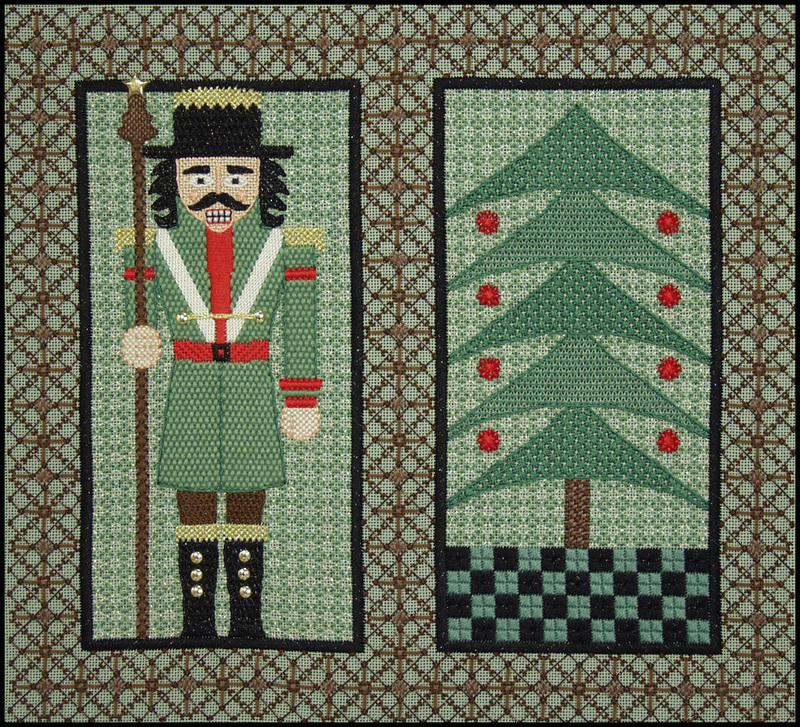 The proportions of the nutcracker and the tree are accurately portrayed in simple canvas stitches and the background areas are executed in layered blackwork. The double border is a fancy original composite arrangement added by Ann to enhance the design further. 1 piece of 24-count Zweigart moss green Congress cloth - 16" X 14"